In an age where almost everything is available in an instant or readymade format, e-learning courses are no exception. Organizations that have decided to use e-learning for their training have two options – either to go for off-the shelf courses or create customized e-learning courses, based on their training needs. Building customized e-learning courses calls for the involvement of an external consultant or putting together a team of internal experts to create a course that can meet the unique training needs of the organization. The other option is using off-the shelf courses or training videos that can be purchased and used for training purposes. Most of these courses are based on generic topics such as leadership, communication, ergonomics, or soft skills which can be used by different organizations. The time and cost conundrum that are part of creating online courses are gone when you opt for off-the-shelf courses because they cost less and take less time and effort to build. Why opt for off-the-shelf courses? Companies prefer to buy off-the-shelf courses instead of building when they do not have the resources to create tailormade courses or when the training topic is generic, common and is not highly specialized, complex, or specific to the organization. Moreover, readymade courses ensure faster rollout of training because most of these courses are SCORM compliant and can be hosted on the company’s LMS and require little maintenance. These courses are the best option for medium and small departments, which may not have a dedicated L& D department HR vertical to develop online training. Another advantage is, these courses are created using responsive design so that they can be accessed on mobile devices. However, a host of off-the-shelf course providers are available today this leaves companies in a dilemma on which one to choose to meet their needs. Apart from looking into the key considerations, organizations are concerned if the vendor can customize these off-the-shelf courses based on their requirements. So how do you choose a elearning vendor? Apart from checking for credibility, background, customer service, and abilities to solve your queries and problems, the vendor must be able to customize off-the-shelf courses to match your branding. Branding of online courses is using the set color schemes, fonts, layout, images, and logos that are part of your company’s identity. Using these branding elements will let your employees identify with the courses. It kindles their enthusiasm for the courses and is crucial for the initial buy-in from employees for the learning program. Unbranded off-the-shelf courses will help your learners learn facts but they may not identify with these courses as part of the organization, so the association is lost. Without branding, their potential for making an impact on your employees is greatly reduced. 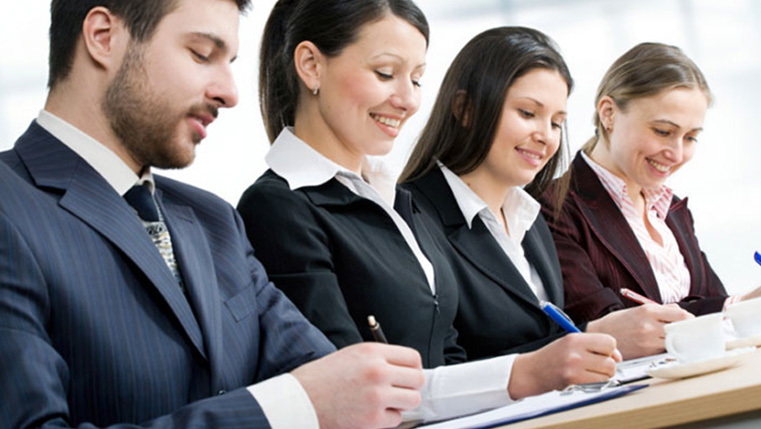 The motive of most e-learning courses is to bring about a behavioral change in employees. The branding elements mentioned earlier represent the values the company stands for and these elements succeed in condensing these values to create an impression. Branding infuses a personality to these courses and sends out the right signals to your employees that the management has taken efforts to infuse individuality and identity to online courses. The brand is a visual reminder of what the company stands for and acts as an important reference point for learners. Branding your courses communicates the value of learning and development throughout the organization, and will attract and engage your learners. Therefore, when choosing a vendor for off-the-shelf courses, ensure they can incorporate your branding options in the course. They should be able to upload your company logo on the courses and change the colors of the course to reflect your brand identity. When opting for off-the-shelf courses, do not ignore the need for branding them. A brand identity has a deep impact on your learners and is crucial to the success of your training program. It is important to choose an off-the-shelf e-learning vendor who can meet your branding requirements. Do you agree? Send in your comments.